Memorial Day was originally called, "Decoration Day." 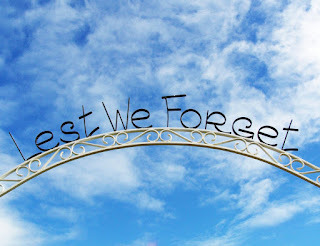 This is the day we remember those who died in all wars. Veterans Day honors all who served in the military, but this day is set aside for those who gave the ultimate sacrifice. Recently, I reviewed a book by Sarah Sundin (The Sea Before Us) about the Normandy invasion during World War II. The high stakes of war has always attracted both writers and readers. There's something about bravery, sacrifice for our fellow man, that resonates with us and stirs the emotions. When reading books about the Revolutionary War, The Civil War, and the World Wars, I realize what our freedom cost in terms of human lives. I'm so thankful people had the courage to challenge the bullies of the world and stop them in their tracks. As we have picnics and hit the Memorial Day sales, I hope we'll take time to pray for those serving in war zones and their families. Writers and Readers: How do you celebrate Memorial Day? We have outside temperature of 96* today. We are inside trying to keep cool. For lunch, we had hot dogs. Due to my gluten-free diet, I have not had any for quite a long time. That's how we celebrated Memorial Day in my home. Last week we decorated graves here in town. Over the weekend out son decorated Hubby's parents' graves down where he lives. We have a memorial day in Holland on May 4th with ceremonies and wreath placing on war monuments. Just a few weeks ago I was in Auschwitz, Poland. The camp is a Holocaust remembrance museum, to make sure no one will ever forget.